Exhibition "The Immersion: Towards the Tactile Cinema"
Media Forum within Moscow International Film Festival traditionally doesn’t only show the most interesting works, widening our idea of cinema and video art, but also yearly organizes a special educational program. Invited artists, filmmakers and critics give lectures and hold the workshops on perception, interpretation and creation of the new screen culture. This year Media Forum concentrates on the various forms of the tactile, haptic and interactive cinema. You could become acquainted with these notions at the lectures and workshops by Chris Hales (UK), Valery Aisenberg (Russia), Perry Bard (USA) and Boris Debackere (Netherlands). The closing of the Media Forum’s educational program will take place in the ARTPLAY Club at 20:00 on June 27. The evening will begin with the lecture by Peter Greenaway, one of the most famous contemporary film makers and the guest of honour at the Media Forum. The Media Forum’s research subject of many years is the cinema, ceasing tobe itself; the cinema which outsteps the boundaries of its own territory and merges with the visual art or becomes its part. The British film maker is the author of such masterpieces as “The Cook, the Thief, His Wife&Her Lover”, “The Draughtsman’s Contract”, “The Belly of an Architect” and “Prospero’s Books”. He travels in time and space and involves the audience into the intellectual schemes of the recognizing what is best in the world’s culture. His personality is at once eccentric and magnetic. Greenaway will tell us about relationships of the cinema with the classical pictorial heritage. 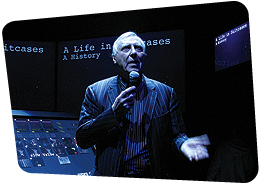 Several years ago Peter Greenaway made a statement on the death of the cinema. It was a very unconventional move for the man, who dedicated all his life to the cinema. 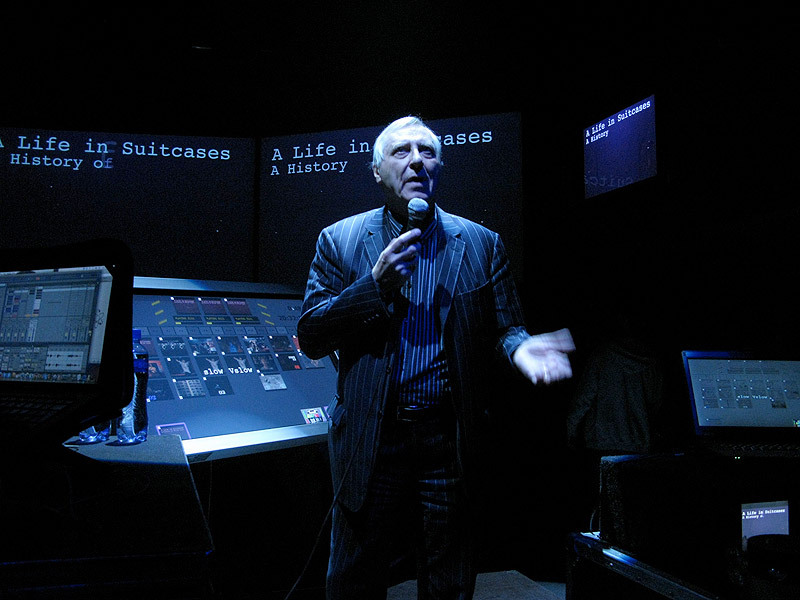 In 2008 Peter Greenaway demonstrated to the Moscow audience the multi-screen not-narrative real-time cinema for the first time — it was the media-performance “The Tulse Luper Suitcases”, and the author was there not as much as a film-maker but a magician-VJ. Performance was accompanied with the lecture, where Peter showed, how he “animated” the “Night Watch” by Rembrandt (Rijksmuseum, Amsterdam). From then onward Greenaway added to the list of animated works based on the masterpieces of the world painting, “The Last Supper” fresco by Leonardo da Vinci, “The Wedding at Cana” by Paolo Veronese and made the series “Classical Paintings Revisited” from them. Among the masterpieces included in this list is some work by the Russian painter, but which exactly is a secret yet. There are also “Guernica” by Pablo Picasso, “The Last Judgement” by Michelangelo, one of the paintings by Jackson Pollock or Claude Monet. Greenaway himself understands this project as applied art criticism: it’s a story about art told not by the means of external text, but by the means of art. The ceremony will continue with the presentation of the interactive cinema works, shot in the course of the 5-days workshop, held by the film-maker, artist and pedagogue Chris Hales within “Media Forum”. The guests at the closing ceremony would be able to test the cinema which the spectators can change in their own way. The musical accompaniment of the fete will be provided by the group “Five, Two, One (521)” which is as far from the mainstream, as the whole “Media Forum”. Still the group transmits lively, melodious and listenable music. Those, who swept with the chain of festival events, couldn’t find the possibility to get acquainted with the most extraordinary forms of cinema, will be able to visit the exhibition at “Ekaterina” Foundation (till 19 August 2012). Admission strictly by the invitation tickets or MIFF accreditation. Nowadays thanks to Hollywood a model for a feature film with a narrative basis and two-three hour length has been established worldwide. This is a cinema viewing situation we are accustomed to, but cinema is not at all limited to it. 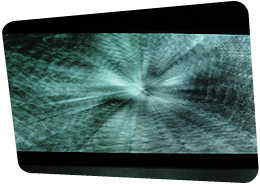 All through the XXth century artists and avant-garde film directors have been dreaming of quite another cinema, whether a tactile one, wich can be touched, an interactive one – where a viewer can take an active part, a multiscreen cinema or cinema viewing as a meditation experience. In fact such cinema works are also created and they happen to be no less interesting compared with blockbusters — it’s just that we are not particularly aware of their existence and so are not able to watch or touch them. The Media Forum is a programme at the Moscow International Film Festival which has been created especially to expand the familiar borders of cinema and to show that it can vary not only both in content and artistic construction of the text, but also from the formal point of view, the technology of its making and the viewing situation. The language that Media Forum uses to talk to its audience belongs to both cinematic and artistic principles, enriching them both equally. At the beginning of the XXth century cinema as a space of experiment was an object of interest to both avant-garde film pioneers (Sergei Eisenstein, Dziga Vertov, Hans Richter) and avant-garde artists (Marcel Duchamp, Mikhail Matyushin, Kazimir Malevich). Later on when the cineindustry itself did not want to invent new forms and technology, but just to sell most commercially validated products, this initiative was taken up again by artists. 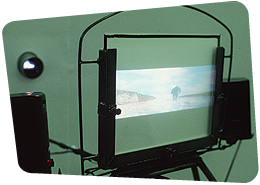 Nam June Paik worked with the film image as a mediatation object, Salvador Dali came up with the idea of accompanying screening with a tactile experience, which would comment on the action on screen. Cineforms were transformed and invented by the most important contemporary artists. At the moment when post-structuralist philosophy and literature created the concept of destroying the united narrative structure of a work, a non-linear structure cinema was born together with new forms of interactive work with the viewer. 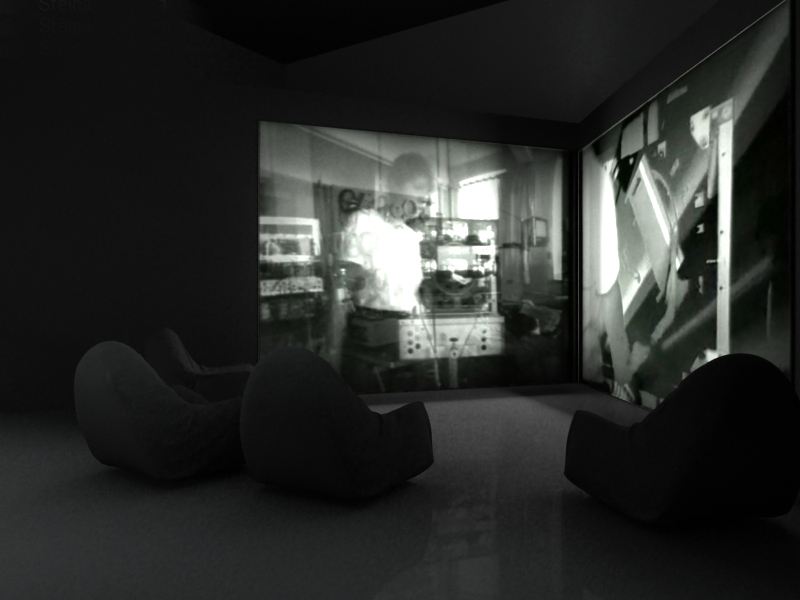 Today the new technologies of online distribution, watching films on workpads and YouTube resulted in “grand cinema’s” revival of interest in experimental forms. The changes in viewer perception structure have at last made relevant and commercially demanded everything that artists and cinema pioneers had already suggested a hundred years ago. Contemporary classics such as Peter Greenaway and David Lynch have declared a change in the cinematic structure. All these should be conceptualized in the historic perspecive and from the viewpoint of contemporary reality. Moreover, these actual developments call for a prepared and cognisant audience. This has become the main objective for the Media Forum organizers. 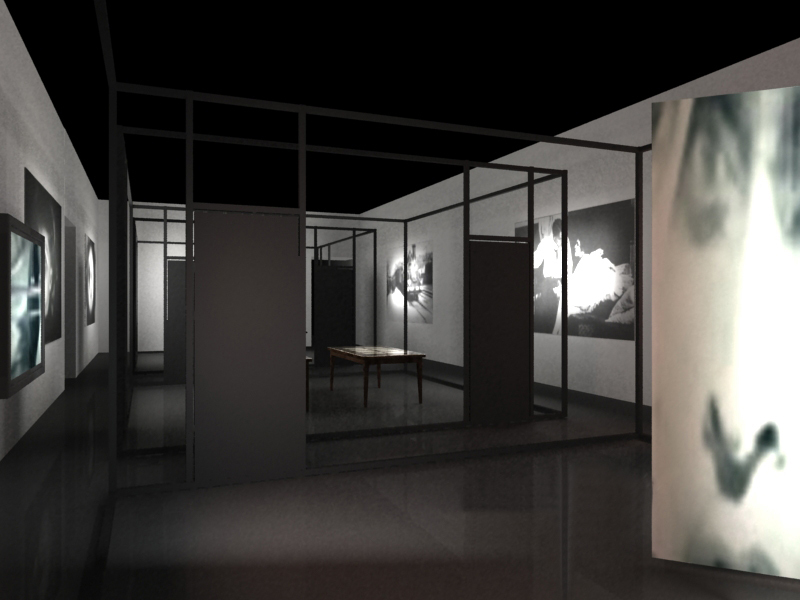 Exhibition "Immersions. Towards the Tactice Cinema"
The central event of this year’s Media Forum is the "The Immersions. 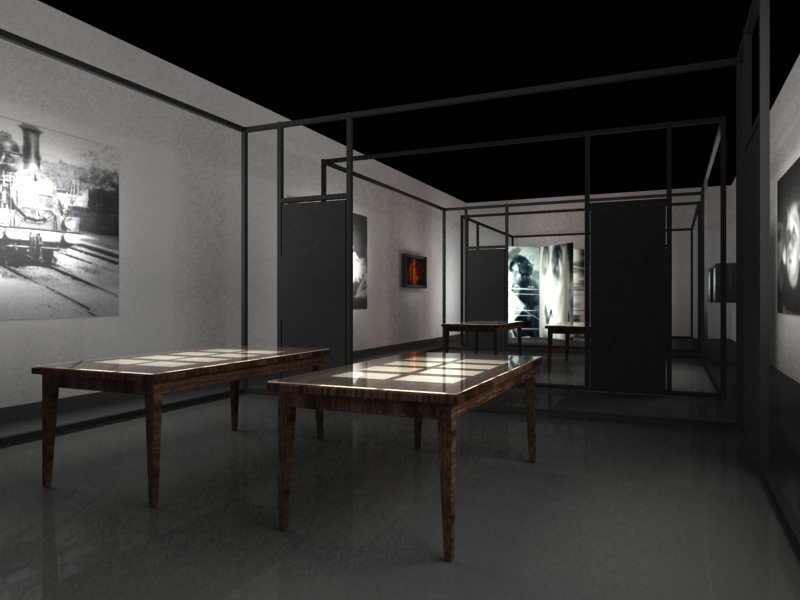 Towards the Tactile Cinema" exhibition. It consists of several sections each belonging to a certain type of director’s approach to working with screen and viewer. The first section, Pure Cinema, is a reaction to art for art’ sake. Here screen is used as a canvas, actually presenting cinema as an apotheosis of painting. Works by Kazimir Malevich, Mikhail Matyushin, Nam June Paik, Ken Jacobs, Paul Clipson, Hans Richter, Konstantin Adzher, Oleg and Olda Ponomarev are presented. Attractions’ Montage, the second section, is based on the “4D cinema” concept invented initially by Sergei Eisenstein and presents his followers: Pia Tikka, Herz Frank, Alexei Isaev and Elena Gorbacheva. The third section, Tactile Cinema, is about films that can be “watched with hands”, starting with Salvador Dali’s ideas. While working with Luis Bunuel, Dali had quite another vision of the Chien Andalou realization. This is followed by VALIE EXPORT’s “gripping watching” (beside which works by the TOT-ART group, Valery Ayzenberg, Ekaterina Pavlova and Constantin Semin are presented). The forth section explores the Machine vision idea by Woody and Steina Vasulkas — a device that can replace both the film director and the viewer, supplanting individual and inaccurate human vision by an objective gaze of the camera itself. Here Ken Jacobs, Dina Karaman and Alexandra Kuznetsova are also presented. The Interactive Cinema that unfolds with viewers’ participation is the fifth section comprised of works by Zbigniew Rybczyński, Chris Hales, Boris Debackere, Perry Bard, Mark Amerika and Olga Kisseleva. Media Forum of the Moscow Film Festival has a tradition of both screening the most interesting works that expand our notions of cinema and video art and also organizing a special educational programmes yearly. We invite artists, cinematographers and theorists to deliver lectures and seminars on new screen culture perception, interpretation and creation. This year Media Forum is focused on various forms of tactile, haptic and interactive cinema. You can learn more about it at workshops by Chris Hales (UK), Perry Bard (USA) and Boris Debackere (The Netherlands). Please note: to attend Media Forum educational events you have to register at website http://mediaartlab.timepad.ru/events. ARTPLAY Club, June 23 — 26, 10 A.M. — 5 P.M., June 27, 10 A.M. — 8 P.M. The cinema which can be “watched with your hands”. The cinema which is watched by the “machine” instead of a human being. The filmshow, where the spectator can’t just relax in his chair, he has to create the movie. The participants of “Media Forum” 2012 think that all this is much more fun than an ordinary Hollywood blockbaster. 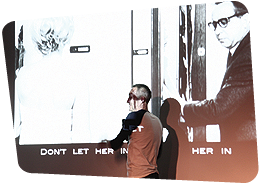 One of them — the artist Chris Hales — is literally crazy on the idea of the interactive cinema. Since 1990 he has authored more than 30 of such films and dedicated to the phenomenon his PhD thesis “Rethinking the Interactive Movie” (2006). In his works Chris tests every method which can be used by the spectator to get involved in his films structure: to choose one of the offered options of the plot development or change the narrative details (in example, slam the protagonist’s flat and ruin his evening), or find the needed key to continue the film altogether. One of his projects makes the spectator to follow several screens simultaneously and constantly interfere, otherwise the universal harmony will turn into universal chaos and the discord in one of the plot lines will spread onto others. At one stage it begins to look like a computer game, but with completely different art objectives and content. Besides Hales puts forward the works in various styles and forms: multiscreen film, landscape sketch, slapstick comedy, documentary. He combines the possibilities of cinema and visual art. Professor Hales gives a practical course in Moscow on what happens in the world when the spectator touches the screen and thereby changes the film’s plot altogether. Its first day is an open lecture on interactive cinema history and theory. 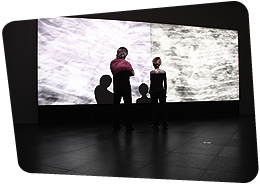 Chris will give a detailed account of what it is and who used interactive strategies in all the hisory of the “art of moving images” and how they were used. All following days will be devoted to the practical side of the workshop. 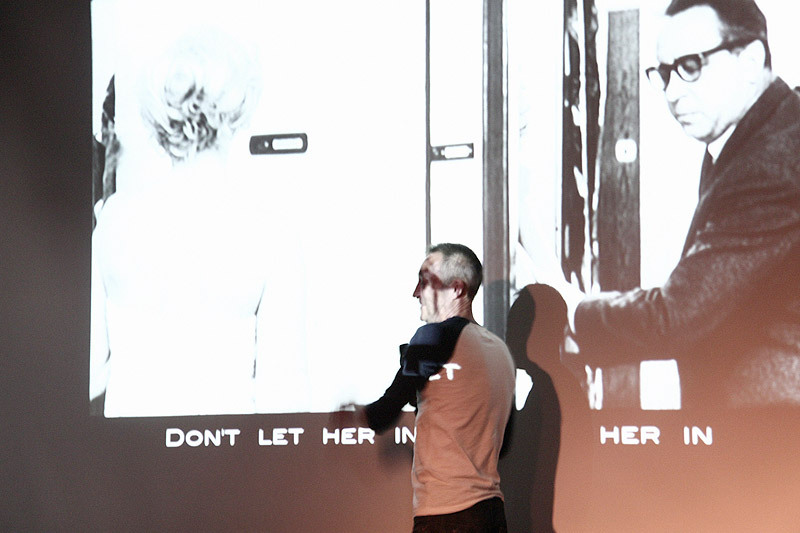 Chris Hales will work with the participants helping them to develop and create their own interactive films. The professor explains the technology aspect, editing and necessary software. The basics are demonstrated with training models, after that Chris works individually with each project. The workshop finishes with a public presentation of the works shown as an interactive performance. ARTPLAY Club, June 25, 6 P.M. — 10 P.M.
Dziga Vertov’s Man With A Movie Camera was a revolution in the art of moving images. It demonstrated that “eye of the cinema” looks at the world differently compared to an individual human being or even human society. This is a fundamentally other vision. The American artist Perry Bard estimated this work as crucial for her own creativity. In 1999 using Vertov’s ideas as a stepping stone she has started her own project Man With a Movie Camera: The Global Remake. Its first stage was a portrait of Sofia, the capital of Bulgaria, made in the Vertovian way. After that the project moved on into the internet and portraits of New York, Mexico, Ekaterinburg, Tel Aviv, Belgarde and Tokio appeared in collaboration with various artists and film directors. Ideally, the complete work will have a worldwide span. Perry Bard offers to the Media Forum guests an opportunity to take part in her creative project at the workshop and to make a new part of this work dedicated to Moscow together. At the workshop she will show and analyse Dziga Vertov’s film and deliver a lecture on documentary aesthetics, editing, the concept of remake in contemporary art and different approaches to material (interpretation of concept or form, literary remake and digital transformation). On the same day a discussion of participants’ own themes and concepts will also take place. 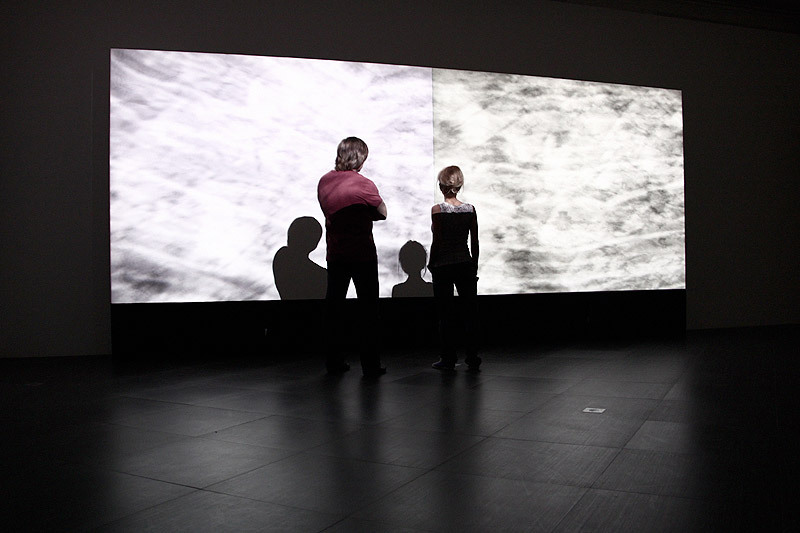 Works can be created using various sources – from CCTV cameras and mobile phones to documentary footage. After the workshop all participants will be given an option to upload their content to the project website. 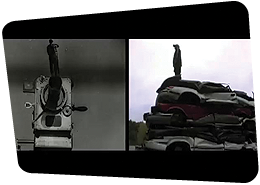 ARTPLAY Club, June 24, 6 P.M. — 9 P.M.
Boris Debackere is a Dutch artist and theorist who explores first and foremost the interrelations of cinema image and reality and how they change with the development of cinema technologies. He states that the film-based cinema deals with a completely different type of reality than that of digital cinema. Then what does the interactive cinema tell – and to whom does it talk? What happens to the world where cinema surrounds us everywhere, especially outside cinema theatres? This is the subject of Boris Debackere’s book in which he attempts to present the works of all contemporary authors who work with novel methods and novel forms. At his lecture he will present the whole range of possible forms of exploring the experimental cinema space. The Ekaterina Cultural Foundation, June 23, 6 P.M. — 9 P.M.
A public tour of the exhibition at Ekaterina Cultural Foundation is led by its curator, Olga Shishko (art director of the Media Forum MIFF) and by artists participating in the project: Perry Bard, Chris Hales, Valeriy Ayzenberg and Boris Debackere. During this walk through exhibition halls Olga Shishko will outline primary creative approaches to the expanded cinema theme with examples of works presented and artists will present their works in the context of this theme. After the tour the event will continue as a informal creative get-together and live communication between the exhibition’s participants and visitors. Media Festivals — Let's rock! Within the space of three days Media Forum visitors will be able to see the collections of works from the best international media art festivals. The range varies from the experimental animes to the masters’ of video art works, from the most serious European competitions to the funniest videoprograms. Moscow spectators and the Festival guests will be enjoying videoart non-stop in a club format. The participants: Oslo screen festival (Norway), Now&After (“Seychas & Potom”) (Russia), Impakt (The Netherlands), PRIX Ars Electronica (Austria), Japan Media Arts Festival, GOGBOT festival (The Netherlands), LOOP festival (Spain). Nizhnyaa Syromyatnicheskaya street, 10, str. 9, entrance "C"